Skattejakten.LIVE is Norwegian, and means “The treasure hunt LIVE”. 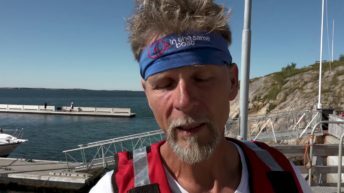 Traveling on a sail boat, equipped as a modern high tech TV-studio for live broadcast, two Norwegian girls will try to find the biggest treasures of Norway. From the 9th. 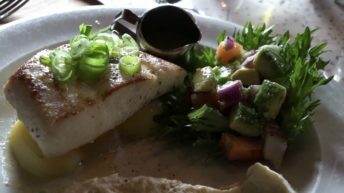 of april, the girls and their camera crew, will sail from the farthest south of Norway, to Nordkapp, as close as you can get the North Pole on the Norwegian mainland. What’s extraordinary about this trip, is that everything is filmed and broadcasted LIVE on both YouTube, Facebook, and the projects own website. Most people with experience from live TV production would say this is impossible, and for sure, we have got a lot of questions and criticism from people in the TV business. There is a lot of disbelieve out there! So, in this blogpost is the explanation about how we’ve solved it, and then the time will show how it works. 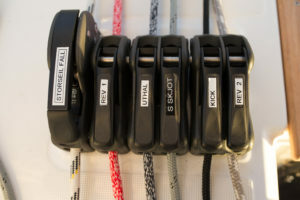 The live streaming technology is based on Teradek Bond, which is a system that combines several internet connections to get enough band width to broadcast a high quality image. 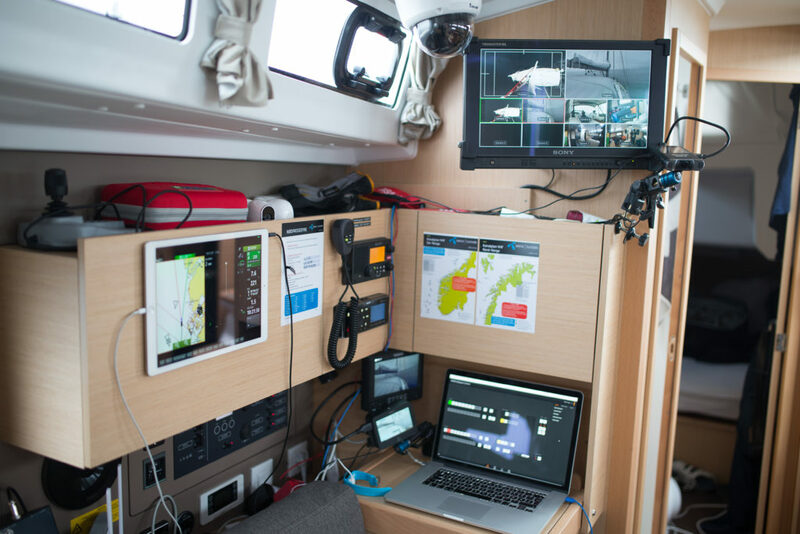 We use also Teradek Core as our broadcast management system, having to uplink only one stream from the boat, but routing the stream to different streaming services, like YouTube, Facebook and Ustream. On board there is 7 dedicated internet routers, connected do different antenna systems, both in the main mast and the radar mast. 6 of the routers are for the video broadcast, and 1 is for control and system management. The Norwegian coast has a fairly good 4G coverage, with three different providers, Telenor, Telia and Ice.net. While Telenor and Telia operates on the 900, 1800 and 2400 MHz bands, Ice.net also operates on the 450 network, that has a wider reach, but a limited speed compared to the other networks. Ice.net provide both the faster networks, and the 450, so one of the things we look forward to test, not just in theory, is the actual difference between the different networks. Our camera system is based on a combination of IP cameras, that is normally used for surveillance, and traditional TV-cameras. The IP cameras are weather resistant, and is mounted in the mast, in the radar mast, in the cockpit under the aprayhood, and inside the cabin. 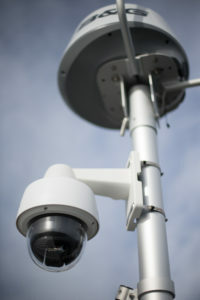 The IP cameras are remotely operated, with functions like pan, tilt and zoom, and they also have infrared capacities, for filming in the dark. To include the IP cameras in the live production, we had to convert the IP signal to a traditional HDMI signal, using IP-converters. Production converters for this purpose is both expensive and vulnerable for the conditions we will be working, so we chose to use the HDMI monitoring outs on small switches made for monitoring several IP-cameras. Both the IP cameras, and the IP camera switchers, are powered by Power Over Ethernet, PoE. All our IP-cameras and special electronics on board is delivered from CT Marine. Our TV cameras is in a wide range, for different purposes. GoPros and Canon Legria for easy moving around and wide angle shots inside the boat, Canon C300 for expeditions on land, Sony PXW X70 for moving around on the boat, and we also have 2 drones, a DJI Phantom Pro 3, and a DJI Inspire 1. Our main video switcher is the new Blackmagicdesign Television Studio HD, with 8 channels. To match the inputs to the switcher (4x HDMI and 4x SDI, and 1080P50) we use Decimator MD-HX, that can convert almost any input, to the format we need, both in HDMI an SDI. 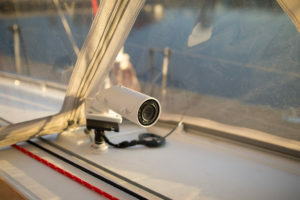 We also have a video link from Swit, to move around without cables, both on the boat and around the boat when docked. Our bout is a 2017 Beneteau Oceanis 38.1. We chose this boat because it is big enough to host all our production gear, and because it is small enough to be possible to handle for the two girls leading the program, that is also going to learn to sail! 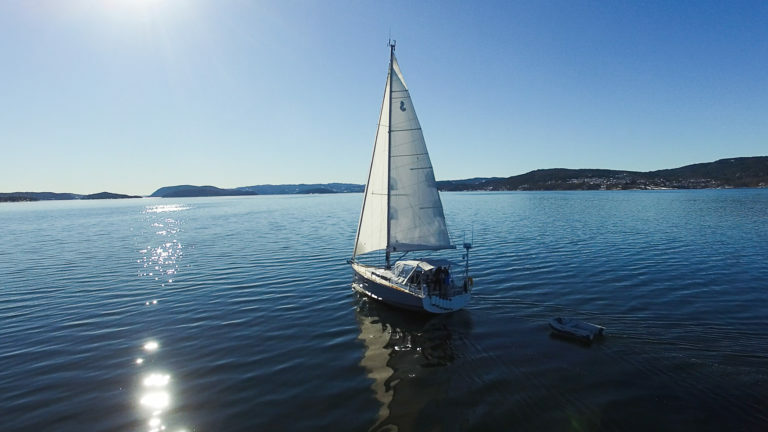 They start out with no sailing experience… yes, this might be interesting! 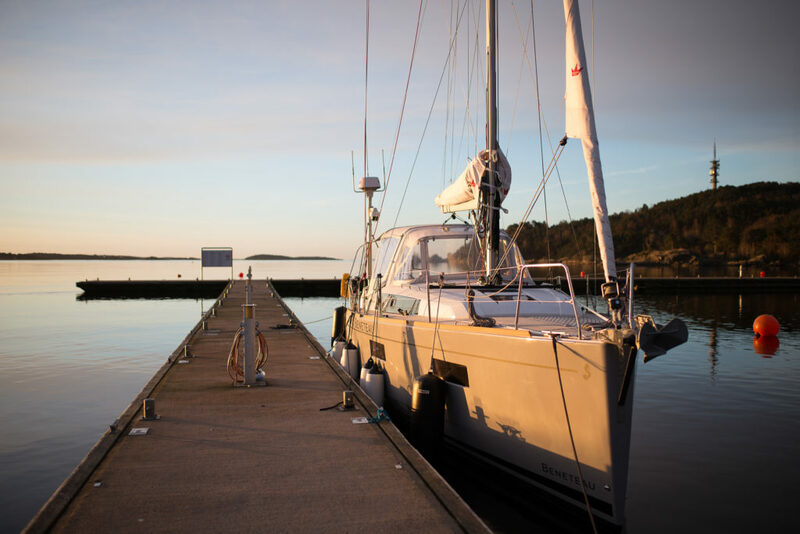 Beneteau and their Norwegian dealer, Giramar, has been very helpful along the process, and the boat is actually built from the bottom, based on our specifications. We have all you can dream of when it comes to navigation and maritime electronics. Chart plotters on both helms, chart plotter monitor inside the cabin, radar and autopilot. Our choice and also the standard on Beneteau boats, is equipment from B&G. Their sailing instruments are great. For us, it was important to get a boat that is easy to sail. Our focus has to be on the production, not pulling ropes. A little boring sail enthusiasts might think, but actually it’s quite fun to sail this boat, still needing to trim sails and gather experience on how to get the most speed and of course security. Our choice was to use a self tacker instead of a genoa, and a code zero for low wind conditions, instead of a spinnaker or gennaker. So far we are very happy about this choices, and the boat handles perfectly in all conditions. That’a all for now – please spread the word, and don’t hesitate to ask if you have any questions about the technology or the project it self. Next Fra fastland til farvann..